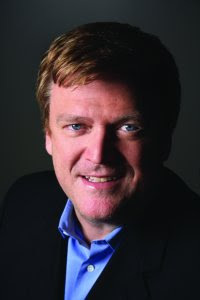 My Exclusive Interview with Patrick Byrne, CEO of Overstock.com (OSTK)! Oh, my! I was very fortunate in that Dr. Patrick M. Byrne, Chairman of the Board, Principal Executive Officer of Overstock.com (OSTK), consented to a brief interview with me last week! And I apologize for the delay in posting this, but it was the first time I had taped an interview (with his consent of course!) and the playback quality was oftentimes very low and it took a while to transcribe it as it had to be replayed quite a few times. waaaaa! Overstock.com, Inc. is an online closeout retailer offering discount brand name merchandise, including bed-and-bath goods, home decor, kitchenware, watches, jewelry, electronics and computers, sporting goods, apparel, and designer accessories, among other products. The Company also sells books, magazines, compact disks (CDs), digital versatile disks (DVDs), videocassettes and video games (BMMG). In addition, it operates as part of its Website an online auction site (a marketplace for the buying and selling of goods and services), as well as an online site for listing cars for sale. Overstock.com utilizes the Internet for liquidation, closeout and other discount merchandise. The Company provides consumers and businesses with access to brand-name merchandise at discount prices. Its shopping business (sales of product offered through the Shopping section of its Website) includes both a direct business and a fulfillment partner business. Patrick: Hello, Trading Goddess. Great to hear from you. TG: Hi, hi! Thank you for taking the time to speak with me. I appreciate that! Patrick: I always have time for the press, especially the 2.0 press. TG: Excellent! So... I was enquiring, or wanting to know, about Overstock.com. How's things going with the business? Patrick: Great! Well... let me state that since we're near the end of a quarter, I really can't talk, none of my statements will be about Overstock vis-a-vis the Q4 08 because there's something called "Reg FD" and I really can't talk about a quarter without it being... Anyway, so, I'll be talking more generally and I just want your listeners to know it's not specifically about this quarter. TG: Oh, ok. Let's see... so, can we talk about what happened before that? Patrick: Yeah, well I can't tell you in the middle of a quarter, I can't tell people what's going on in the quarter unless it's a nationally... there's something called a regulation fair disclosure and if it's a nationally broadcast thing I can talk about it, but my guess is that the regulatory..that is a legal grey area..
Patrick: ...to disclose to just a small group. TG: Ok. I think they call that the quiet time, or the quiet period. TG: Ok. Let's start off with were you the actual person who created Overstock.com? The mastermind? Patrick: I say there was an ambiguity though. There was a different company called D2 - Discounts Direct, I think it's been around since '97 and they essentially went out of business. They were down to .., they couldn't make their payroll, they were shutting their door. I stepped in and bought a majority stake in that. And then that was in, I think, the early summer of '99. And then we launched the Overstock website in October of '99. So, I'd say that we bought the company. Overstock is a successor company to a small company that was literally doing $40 a day of revenue and actually shutting it's doors. It was servicing the flea market industry, and I bought it, and rather than everybody being laid off, I bought it, and we launched the Overstock website a few months later. TG: Ok, and let me ask you...would you consider making Overstock.com available for buyout or merger? Patrick: Well, you know, we, we're always... I don't know why I would. I think that we're building something pretty special here. So, you know, there is theoretically always some price. Decisions like that are not really up to me, it's up to the Board of Directors to represent the shareholders. I have my say, and I am a large shareholder, but you know, there's certainly not... I'm not looking, I'm not quoting anybody for that. We're just going to keep on building a great business. TG: Ok, ok, great! Building a great business - I do notice, of course, the economy right now is awful, and I read that you had some thoughts on the economy going forward. Do you see that...you know...when do you see things improving? Or actually, let me ask you this: how can we improve things? How can we make the companies that are doing well fundamentally, how can we make that reflect in the share price? Patrick: Well, don't... don't think about it in terms of share prices. Share prices....share prices are share prices. You know that's a very big set of questions what you just asked. What we need to do is just fix the country, well there's a laundry list, but primarily we gotta fix, we gotta clean corruption out of the capital market, we gotta fix the education system. Clean..to fix the capital market, you gotta start with the settlement system. We have a settlement system that's broken bad and manipulators have figured out how to use these cracks, to manipulate stocks. Our capital markets become the laughing stock of, you know, world capitalism. They're now writing articles in Indian newspapers, writing about how corrupt the US capital market is. We've become, we've become a cautionary tale for India. So nothing, until we fix that, we're just building on quicksand. And that means a complete overhaul of our regulatory system. TG: Ok, and do you think that with the new administration coming in that there is you know, I'll, I'll say the word in quotes, there is "hope" for the overhaul that we need? Patrick: I know that some of the people close to the President elect do understand it. They do understand what needs to be done and I'm very thrilled...I'm very excited about that! I mean, Rob Shapiro in particular on the Transitions Team, he understands what needs to be done. But ultimately this is not a partisan issue, the Democrats are just as guilty as the Republicans. Both sides have been hijacked by big money, big Wall Street money and there's gonna be a lot of people out there trying to prevent the new administration from doing the right thing and it remains to be seen. But I do have hope because I know some of the people around Barack Obama do understand the problem deeply. TG: Ok, great, great! I notice that you spend some time over there, over at DeepCapture.com. TG: So you seem very knowledgeable about short selling, naked shorts, and have you thought of maybe doing that full time? You know, stepping down from Overstock and you know, spending all of your time there? Patrick: No I don't think so. I think that I do Overstock full time and I do DeepCapture full time. I'm not married and I don't have many hobbies, so there's plenty of room in my day to devote full time to each. TG: How many...how many hours a week do you work? TG: Holy smokes! That's, that's... and your health is ok? TG: Your health is ok? I mean 100 hours a week..isn't that, that's a lot of work! Patrick: Well, I'm like an old car that just, you know, it looks beat up but it just keeps on ticking along. As long as you don't mess with it too much...you know...somehow it seems to keep running. TG: lol! Ok. You know, on you're not speaking about Quarter 4. I had two questions about when Overstock plans on being profitable, and when you're gonna get out of debt. Is that something you can't answer? Patrick: No, I can talk about that. TG: Ok, because...you know...let me just tell you myself that I'm an investor in companies and fundamentally...you know, if I like a company, you know, if I like a product, I'll do due diligence on it and decide if I want to invest in it, and ... again, with the economy - a lot of the companies, of course many, many, many, are being hit, whacked, you know... cut in half, some more so. So, if I were a potential investor for Overstock.com, I would like to know when you're going to be profitable and what are you going to do with that debt. That, I guess that also goes back to my initial question, you know, if you're gonna make yourself available to buy out or merger, because you know...I'd like, I'd like to hear your plans. What do you have to do to improve the company there? That's what I'd like to hear. Patrick: Well when we planned on it - I would've... I was actually pretty confident we were gonna make some good money this 4th quarter. I thought we were gonna do great, but the truth is, since September, and I've said this publicly, the downdraft has hit us, like everybody else. It's actually helped us on the supply side, I mean, the world suddenly filled with overstock people need to get rid of. On the demand side, we've been hit by, the consumers are sitting on their wallets. Basically companies which are cutting prices are shrinking 10%, and those that aren't cutting prices are shrinking 30%. It's, and, we've been caught between the 2 but that's ok. We've actually spent the last 3 years sort of structuring and stripping, weening out our system and stripping costs out of our system. So, you know, we are in positive cash generation mode, and I really wanna stay there because I think there's gonna be a wave of bankruptcy roll through the retail system. But I'm not gonna predict a specific date that we'll be profitable. Patrick: So as long as we're generating positive cash flow, it's not good enough, but it's a nice place to be. TG: Ok. Yes. And do you own stock in the company? Patrick: I do indeed. I own a fair chunk of it. I own about 30% of it. TG: Alright. There was an issue there in the past about ummm... you know, shorts on your stock as well. How do you feel about that? What's, what is the status of that - I think that there was also some lawsuits? Patrick: ...a systemic implosion, and I think that pretty much everyone's gotten that joke at this point. That there's, I think we've won that intellectual battle. That everybody understands this is a real crime, it has gone on on a massive scale and it's at least been implicated... in the systemic implosion we're experiencing and nobody really knows quite how much it's being implicated. But certainly it's entwined around all these different issues that you read about is the problem. Naked short selling in particular, and this settlement system in general. TG: Ok, do you think there are a lot of naked shorts in your company stock? Patrick: I try and stay away, since there are lawsuits and I don't really like discussing vis-a-vis our stock. Patrick: There's certainly...I know that at times there has been, without question, massive naked shorting in our stock, yes. TG: Ok. And do you think that, I mean, how can we make that transparent? I mean, I do know that you say legal shorting is great, and that should be allowed and ok that's great, but the naked shorting - how do we, how do we stop that? Is this gonna be also with the overhaul, with the whole... with the new administration and all of that coming in? Patrick: Yeah. They could stop it tomorrow, and that is by going to a preborrow requirement before you short stock. You don't just have to locate stock to short, you have to borrow stock. And, you know, in the summer the SEC threw up an emergency fence around 19 financial companies and the first thing they did was say mandatory preborrow. And there were these 19 financial companies that were more or less on the government's balance sheet, on the government's checking account. So when companies the government was responsible for came under attack, they knew exactly what had to be done which was a mandatory preborrow. You know, we officially got a cast system where there was one set of rules covering one set of companies, and there was a different set of rules covering the others. It was ridiculous. But the government knows what has to be done. You need a mandatory preborrow and a hard delivery. And if somebody doesn't deliver what they sell, they get bought in. If you did those 2 things, it would clean up this problem overnight. The problem is, you know this isn't a hard problem to solve, it's just a hard problem to solve without seeing a few dozen rich guys get their asses handed to them and that's just what has been happening. And behind some of the hedge fund implosions that are going on, is that the government did tighten some of the loopholes. So they can't... so they know just what they have to do. The problem is the people who get hurt... the government has now taken officially a stance against the rule of law. By not tightening up these loop holes, they have an official policy to be against the rule of law. When... except of course, when the affected companies for which they were responsible, in which case they, they couldn't change quickly enough to do the right thing. So, that's what it's gonna take. But they're gonna have to stand up to a lot of powerful people who are gonna get hurt if they start enforcing the rule of law. TG: Ok, I agree with that, I guess I'm with you in that camp. You know, I don't understand, I'm not an economist and I'm not a politician - I just like to talk about stocks, and products, and companies, but gosh, it just seems to me that the whole transparency thing of it... I don't... I just don't get! You know, why can't it be transparent? Why, why do we have that still when it's illegal. It just doesn't make any sense to me. Patrick: lol! There's a lot that doesn't make any sense. Patrick: It only doesn't make sense if you sort of stick to the normal, conventional view of how the world is structured. If you understand at the outset that DC has been captured, that the SEC has become captured by Wall Street, it's now a towel boy for Wall Street, and the Senate banking committee that oversees it has been captured by Wall Street - that it all starts making perfect sense. They won't do the obvious thing that they can do immediately to correct this because they're under the thumb of some powerful hedge funds. TG: hmmm... Well, that does sorta make make sense there. It seems like things are interwoven, you know? TG: Ok, but how can they just...I mean - sorry to interrupt you, but how can they justify that? TG: Ok, well then, again - maybe you need to separate yourself from Overstock you know, because I was noticing that you, you do talk about a lot of companies and you do seem very knowledgeable, so that's why I was wondering maybe if you did separate yourself from Overstock, you know, they wouldn't have that opinion, and then they would listen to you, pay attention? I mean I don't see how, the SEC, I don't see how a lot of these people can justify the way things are. I can't...it's like, if somebody asked them a question about, you know flat out, it's like well why is this going on, why are you not doing this, I don't understand how they can not have a decent answer for that. It just boggles my mind. It really does. Patrick: Welcome to my world! Welcome to my world. Patrick: It's surreal. What's going on is surreal. Patrick: You're asking me to comment on what Amazon is doing? TG: Oh... o.k. How are you competing with Amazon? TG: O.K. Have you, have you ever spoken with Jeff Bezos? Patrick: No, I have not. We've never crossed paths actually. TG: ummm... How about your return policy? Someone had mentioned that they were having problems with it. Is your return policy... do you think it's streamlined? Do you think it goes smoothly? Patrick: Well, we have streamlined it this year, but we're working on additional modifications in Q1 that will make it even more, sort of hassle free. I do know, that for 2 years we've been rated in the Top 4 in customer satisfaction in America. We've actually just won an award in September as the number 1 in customer service in America..
Patrick: Yeah, we're constantly making improvements and trying to shave our customer stress points. TG: Excellent. Ok, great, great! Ok well I'll tell you what, I'll let you run off, but in the future, ummm... I was just gonna ask ... there seems to be a lot of interest of people on Twitter and Wall Street to talk with you. Would you be interested in maybe having a video chat where people can come to the site and then they could actually type in their questions to you...you know, live? Patrick: I'd love to! I'd love to. Patrick: I see that there's another question I was hoping you were gonna ask - Prop 8 and Overstock's stance on it? TG: Yes, sorry about that. That is actually something I didn't know about and someone brought that to my attention. To me, I don't know how you feel, but I just think that that particular thing shouldn't be attached, piggy-backed onto your company's name. You know? How are you feeling about that? Patrick: Well, yeah, I agree that I don't think it's up to the company to have a stance on things, but I, as an individual do, and my stance is I'm all for gay rights. I'm all for gay rights, equal rights, gay, lesbian, bi, transgender - I'm a Liberatarian, and, which means I'm like a left-wing Democrat on social issues and an old Reaganite Republican on fiscal issues. The Republicans aren't Republican anymore on fiscal issues, I'm not sure where that leaves me. TG: Yeah, that's funny - I was saying right before the election I'm a liberal capatalist! Patrick: Good place to be. Patrick: O.K., take care Goddess, I look forward to... I'll come join your interview anytime. TG: Excellent. O.K. Patrick, I appreciate it. Thank you and have a great day! Patrick: You too, bye bye. So "bye bye" is OK? Nice work TG - doesn't sound like the profits are coming soon but in this environment not much of a surprise. Also sounds like his position against shorting is much more sensible then it orginally was! Can't wait for the next TG CEO exclusive! I think I need to invest in TIVO. Your interview held my attention to the point that I didn't hear anything that was said on Fast Money Tonight. I never (well almost never) forget what the Trading Goddess says. 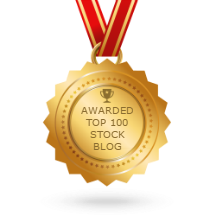 You have a very creative and dynamic way of helping readers remember Stocks, Companies and even management. Very good interview Goddess. From some of the things he said almost makes makes me want to invest a smidge. I do hold AMZN. What made you choose this fella for a interview? Bottom line Kudos, Props to you! To be honest, I still do not understand what exactly differentiate Overstock from other web based retailers. What is their competitive edge. Apparently it is not lower price, better customer service or faster shipping. I don't really see them competing with Amazon and eBay, who possess the mind share for web based retailers. To change that, Overstocks will need to be much more creative and to invest much more money. Sweet Jesus. Great interview, TG. I knew you had this in you. CNBC will hire you eventually. I'm bettin on it. Tell Patrick I am a happy customer Fills a good niche, and with the bankruptcies rolling out in the years ahead, he is well positioned to weather the depression! Duh!!! follow the cash flow folks! Teeg, that was me, Mr. Anonymous! Thanks, Leonard! I will let everyone know when the live chat with him will be! it's so great to see a CEO making addressing the hugely important issue of naked short selling a priority. though i have to agree with ivanhoff, i don't see OSTK's competitive advantage and think the downturn is going to hit retail companies like them really hard -- even more so in 2009. frankly i dont see how they are going to make it without a massive change in their business beyond simply cutting costs. Well, he DID say that the world is suddenly filled with "overstock". They do need buyers tho for that stuff. As far as a competitive advantage, I am not clear on that, hence, my asking about a merger with Amazon. That seems to be the most likely company, imo. I look forward to the live chat (sooon) so we can all ask him some in-depth questions.